Panorama.am presents an interview with Anzhela Elibegova, Southern Caucasus geopolitics expert. - Every year the anniversary of the events in Aghdam in 1992 - which the Azerbaijani side calls ‘Khojaly’ - is observed in Azerbaijan and beyond its borders. How was this year different? - First of all, the 23rd anniversary was marked with some passiveness regarding massive and new events by the Azerbaijani side. Factually, this year we witnessed the duplication of all those standard propaganda mechanisms Azerbaijan uses abroad. It’s also remarkable that the Azerbaijani side increasingly prefers to change the costly events in places, where the Armenian side breaks with counteractions, with virtual space making use of the services of bots and paid advertising. - What new propaganda product appeared in 2015? - Except for the 10-minute video clip by the campaign “Justice for Khojaly,” abounding with mistakes and naturally lacking factual references, and a new music video, there were no other noteworthy examples of new propaganda product by the Azerbaijani side. Possibly, it is connected with the serious economic and financial problems the country experiences because of the drastic decline of the oil prices and national currency devaluation. It may also be connected with the domestic political situation. According to the information of the opposition media, Ramiz Mehdiyev, the authorities’ chief ideologue - the head of the President Administration - is gravely ill and was not able to supervise this year’s propaganda campaign. If both of the suppositions are baseless, a further decline of the rate can be expected in the following year, too. - Which were the Armenian side’s actions? - There is no necessity to reinvent the wheel. As long as the Azerbaijani propaganda makes loads of reasons to analyze and reveal falsifications regarding the events in Aghdam during the year, what remains to do in February is to make them available for the public. It is noteworthy that the foreign media covering the topic have begun to question the Azerbaijani version, bringing in the arguments of the Armenian side concerning the inconsistencies and contradictions of the Azerbaijani version. This is certainly a result of the painstaking work of a group of professionals who monitor, collect and analyze the Azerbaijani disinformation every year. It should be noted that to this day the Armenian side has not received a comprehensible and factual answer to any of the voiced questions regarding the doubtful circumstances in which the Khojaly people died at the Azerbaijani positions near Aghdam. And it is impossible to endlessly circulate one and the same falsification exceptionally emotionally, without operating on facts. - Particularly, what are they trying to falsify in Azerbaijan? - Any circumstance of what happened. For 5 years, the Azerbaijani side is continuously being caught on using photos taken at other occasions at a different time. It would seem that it is time to be ashamed and cease accompanying booklets and other printed material for distribution with the photos of the victims of Kosovo conflict, earthquake in Turkey, Hamas fighters, etc. Gratefully, they do not circulate the Rwanda genocide victims’ photos. But, wait; the representatives of the Armenian Diaspora have again seized such kind of flyers and posters this year. Suppose, there is no money to print new ones, but they can at least give up using the banners from the Armenian site Xocali.net - which reveals the Azerbaijani falsification – in their propaganda events. Moreover, the banner in English itself directly shows that; however, it seems those who use it have some issues with the knowledge of the English language. The above-mentioned site also presents new unmasking of falsifications based on the Aghdam events ‘eyewitness testimonies’ published during the whole 2014. As a propaganda product by the Azerbaijani side this year, the publication of a major book can be noted which contains ‘eyewitness testimonies.’ It is practically useless, because except for the Armenian experts unmasking falsifications, there are very few people who read such kind of literature, even among the Azerbaijanis. - Does the Azerbaijani side react to the revelations? - The Azerbaijani side just prefers to ignore the questions which require simple logic; yet these questions do not cease to exist. However, the reaction of the Azerbaijani side is quite clear, as every attempt to make up a justification for inconsistencies serves another reason for the Armenian side to make a noisy unmasking. Actually, we have got into an infinite loop, where one of the sides, lacking facts, makes use of falsifications, which the opposing side vigilantly tracks and reveals. The site goes on revealing the falsifications of Azerbaijani propaganda over the events in Aghdam in 1992. The site made public the former Azerbaijani president Ayaz Mutallibov’s interview given to the Turkish service of TV channel Al Jazeera. There he speaks about the reasons of Khojalu tragedy, political processes of those times and noteworthy aspects. Al Jazeera: The massacre in Khojalu took place during your presidency. Would it be possible to prevent the events in Khojalu? Ayaz Mutallibov: The events in Khojalu had a really grave influence on the Azerbaijani people. The Azerbaijani people fell under psychological pressure at that time, and those people, wounded, scared, forcefully turned against me incited by the People’s Front. As I was the president, and they told me: why didn’t you protect them? Al Jazeera: Why didn’t you protect them? Ayaz Mutallibov: How was I to protect them? Were we fighting in Karabakh? And Khojalu was situated in Karabakh. Could we enter Karabakh? No. Al Jazeera: Why couldn’t you enter Karabakh? Wasn’t there enough support, armed forces? Ayaz Mutallibov: There was, there was everything. Put in other words, the aim was to cross the border of Aghdam district, neighboring Askeran. To protect the refugees it was just necessary to get in front of them there, we had everything. Al Jazeera: Why didn’t you succeed? It is noteworthy that Mutallibov tricks in an attempt to convince the reader that there was no access to Karabakh. Shushi was in Karabakh as well; still Azerbaijani troops were deployed there and from there daily shelled Stepanakert full of women and children, including refugees who had lost their homes as a result of another ‘non-military’ operation - Ring. The Azerbaijani militarized formations not only ‘could’, but they also repeatedly entered Karabakh intending to exterminate the Armenian population. On February 26, 1992, during the war in Karabakh, around 200 to 300 people (according to Human Rights Watch, and 600 according to the version propagated by Azerbaijan) were killed in unknown circumstances near the city of Aghdam. They have been deliberately withheld by the Azerbaijani authorities in the midst of the military actions. Population of the village of Khojalu, which was one of the firing points shooting at the blockaded Stepanakert (among five others) was kept in the village for months by force and was not evacuated by the authorities of Azerbaijan deliberately, in order to use them as human shields later. Residents of Khojalu coming out through the humanitarian corridor, that the self-defense forces of NKR had left open, freely passed more than 10 km and reached the Aghdam city controlled by the Azerbaijani troops. Later, not far from the positions of Azerbaijani troops dead bodies of the villagers were found. The exact death toll remains unknown as the official Baku publishes data contradicting each other. Parliamentary Commission investigating the tragic death of the civilians at Aghdam city was dissolved by the order of Heydar Aliyev, the investigative materials are kept secret. Musician Valekh Huseynov, one of the main heroes of "Endless Corridor,"
out a miserable existence," Azerbaijani news agency Turan reports. According to the report, the veteran's salary is 150 manats a month. and two old parents, "are badly in need." to have a severe form of diabetes. enormous resources on the recognition of Aghdam events as "genocide,"
Azerbaijani authorities in the midst of the military actions. unknown as the official Baku publishes data contradicting each other. the investigative materials are kept secret. unconsciously take part in that work, Asef Guliyev writes for Lent.az. 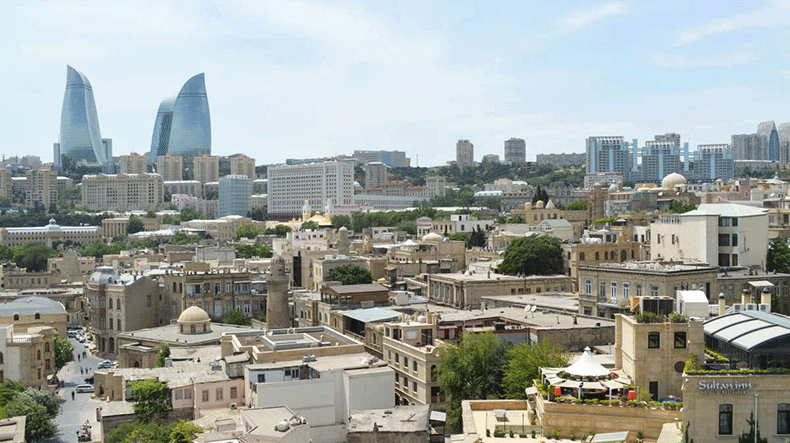 territory to be Azerbaijan's protectorate again, the author writes. Azerbaijani resources "help" the Armenian side in this. Azerbaijani users, who like its posts. events - "Between hunger and fire: Power at the expense of lives"
"The Sumgait Diary" book, "Armenpress" reports. Tatars not in the recent past," Ashot Melkonyan said. 1920 and mass murder of 30.000 Armenians in Baku, 1918.
was made on the basis of their nationality," he said. organized massacres and deliberately took no steps to prevent it. PROPAGANDA FAIL: AZERBAIJAN ACCIDENTALLY PUBLISHES CONFESSION OF AGHDAM EVENTS' "EYEWITNESS": "I HAD ASSAULT RIFLE"
October and November of 1992. "none of my relatives lived in Khojaly." do not know if they are alive or dead or were captured as hostages." Suleymanov was born in village Farah of Lachin district, the NKR. and ZoriBalayan in a nonexistent book. author of the nonexistent book follow. aforementioned work word by word. the Cross' ` and expressed its willingness to pay $15 000 for each. YEREVAN (Panorama.am) — American journalist Thomas Goltz – one of the pillars of the Azerbaijan’s propaganda machine, who “as an eyewitness” actively spreads “facts” about 1992 Aghdam events he allegedly witnessed – was caught on yet another lie. Thomas Goltz’s article published in the Sunday Times on March 8, 1992 (p. 533) is included in the Azerbaijani propagandistic publication “The Khojaly Genocide” (2006), which compiles all the “proving base” of the Azerbaijani side based on foreign publications and eyewitness accounts. As any other publication of the kind, which needs an imitation of credibility, Goltz’s article is filled with names of heroes, including those having many children, whose grief should cause “shock and tremor” in the audience. The names of people, who, according to the journalist’s claims, tragically died a month after the interview of January 1992, are presented in the article. The second is Balakishi Shakilov, 55, father-of-five, and his wife Dilbar. According to Goltz, “this couple, their three sons and three daughters were murdered during the assault, as many others were, whom I spoke to.” Here the journalist is so obsessed with myths that he accidentally “kills” a child, who was not originally mentioned in this invented family. The third is Omar Veyselov, who survived, but lost his wife and daughter. The official list lacks the names of the people mentioned by Goltz. Goltz worked as a journalist in Turkey and in other countries of the USSR for 15 years, later writing a number of books, among which are ones dedicated to the Karabakh war, where he actively supports Azerbaijan’s point of view. and called them "Addicted to Armenia". in the Arc de Triomphe Paris by the Azerbaijani Embassy in France. French state is no way sponsoring such events. to be vigilant in the future. The battle for Khojaly took place in February 1992, at the height of a vicious war between Azerbaijani and Armenian forces during the Nagorno-Karabakh War. There are several versions regarding what happened, including a disputed numbers of victims. There are some who claim there was not even a massacre, but one thing is clear: No genocide took place there. I say this as a genocide researcher and as a person who believes that the murder of even one person because of his affiliation is an intolerable crime. At the start of the war, observers were convinced Azerbaijan would wipe out the Armenian enclave within days, but after six blood-soaked years, with both sides perpetrating massacres, the Armenians won. The “genocide” at Khojaly is a cynical Azeri fabrication, evil and cruel. It is being fostered by Azerbaijan, which explicitly declares its intention of conquering Nagorno-Karabakh and destroying its villages. Rivlin has previously stated publicly, including when he was Knesset speaker, that Israel should recognize the Armenian genocide (perpetrated by the Ottoman government, starting in 1915), but refuses to repeat this as president. His words at the United Nations were interpreted by both Azeris and Armenians as if he had used the term “genocide” in reference to Khojaly. To me, the planting of trees in an Israeli forest and the Azeri-Jewish “brotherhood of victims” that was emphasized at the ceremony are a desecration of something sacred. Describing Armenian soldiers as Nazis, the clear links made between the Holocaust and the massacres at Babi Yar, Lidice, Oradour and Khojaly are a terrible distortion of a basic historical truth. How the wheel of history turns. In April 1918, Weizmann’s personal secretary, Shmuel Tolkowsky, published an article called “The Armenian Question from a Zionist Standpoint.” The article presented the positions of the Zionist Movement at the time, especially that of its London leaders, Weizmann and Nahum Sokolow. It was written with Weizmann’s support and approval. Mentioning Khojaly and the Holocaust under one title at a recent, so-called scientific conference is indeed a desecration of the Holocaust and its victims. This event was attended by Knesset members and parliamentarians from Azerbaijan. It was organized at the initiative of a group called Aziz, the Israel-Azerbaijan International Association. This is a group the attorney general has been asked to investigate. Yes, Israel, we are indeed desecrating basic human values, and defiling the memory of the Holocaust and its victims. No one gave us the authority to do so! The writer is a genocide researcher. This year he launched the “Genocide Studies and Human Rights” course at the American University of Armenia in Yerevan. official website of the documentary is endlesscorridor.com. 1” TV channels, and Albania’s National Television. Mamedov, Azerbaijani Human Rights Activist Yunusov, and others. Armenians, responsible for the 1992 killings” of Khojaly inhabitants. It is an ultimate hypocrisy how Azeri officials are misusing the human feelings with this propaganda and lies. Armenia’s Ambassador to Italy, Victoria Bagdassarian, told the above-said to Agenparl news agency of Italy. “Ambassador of Azerbaijan, when speaking about Khojaly and the massacres of its population, fails to mention that the inhabitants of Khojaly became victims of criminal internal policy between the then Azeri authorities and National Front of Azerbaijan, an ultra-national movement which was striving for power,” noted the Armenian ambassador. “The Khojaly events were organized by the National Front of Azerbaijan to overthrow [then] President Ayaz Mutalibov, and to come to power. This was confirmed by President Mutalibov himself, a month after his resignation, in an interview to Czech journalist Dana Mazalova, which was published in Nezavisimaya Gazeta. “Unfortunately, the official [Azerbaijani] propaganda does not disdain to use any means to put the blame for the events on the Armenian side and inject a new portion of hatred towards Armenians into the minds of its younger generation. They also spread this mendacious information to try to divert the attention from the atrocities they have perpetrated in the Azeri cities of Baku, Sumgait, Kirovabad and elsewhere against its Armenian citizens. The Karabakh conflict has not faded since 1992. In April of the last year, the Azerbaijani regime initiated active military action in Karabakh. The Nagorno-Karabakh Republic lives in an atmosphere of war and all the residents are ready to take up arms and fight for their country again, Italian website Panorama reports. On December 1991, using their right to freedom of _expression_ and self-determination, the Armenians of Nagorno-Karabakh held a referendum and declared independence. The referendum was followed by a real military intervention in the Nagorno-Karabakh Republic by Azerbaijan. For a year, NKR capital Stepanakert’s civilian population was under the direct fire of rocket launcher “Grad” and was subject to bombardment with cluster bombs by the Azerbaijani aviation. Armenia’s role in the armed phase of the conflict was to protect the civilian population and to provide humanitarian, economic, and diplomatic assistance. NKR Self-Defense Forces were involved in the military operations. It is noted in the article that the events in Khojaly are one of the terrible pages of the Karabakh conflict; however, the Azerbaijani regime’s statements about the alleged “genocide” are false. It is emphasized in the article that the Azerbaijani authorities control the country’s media outlets and all the information. The regime in Baku is one of the most authoritarian in the world, and Azerbaijan’s president Ilham Aliyev has taken up his post for the third time after inheriting the power from his father. As for Khojaly events, the “facts” presented by Azerbaijani and several western sources about the alleged “Khojaly genocide” are a clear manipulation of information. It is highlighted in the article that days before February 25, 1992, the commanders of the NKR Self-Defense Forces informed the Azerbaijani authorities and the civilian population by radio about the inevitability of the military operation for the neutralization of the firing point and the humanitarian corridor left for the evacuation of the civilian population. Referring to Azerbaijani sources, the Italian website writes that Khojaly resident Salman Abbasov confirms the fact of the warning by radio. He also confirms that the local authorities did not allow evacuating the population. “When it was already possible to evacuate women, children, and elderly people, the Azerbaijanis did not let us do it,” Abbasov said. It is known from the Azerbaijani sources that the then mayor of Khojaly, Elman Mammadov, was aware of the attack and asked for helicopters, however, the authorities in Baku did not help him at all. Azerbaijani MP Ramiz Fataliev’s (Chairman of the commission investigating the events) statements are also remarkable. According to him, four days before the Khojaly events, during the meeting of the of the National Security Council of Azerbaijan, in the presence of the president, Prime Minister, KGB head and others, it was decided not to evacuate civilians from Khojaly. It is noted in the article that the evidence speaks about the fact that the civilian population served as a human shield for the Azerbaijani authorities for protecting the firing point. In this regard, an extract from the former Azerbaijani president Ayaz Mutallibov’s interview is presented. In the interview, he, in fact, confirms that the events were organized by the Azerbaijani opposition in order to overthrow him. “The general picture of the events is that the Armenians really left the corridor, through which people could leave. Why did they have to shoot in this case? Moreover, at a territory near Aghdam, where at that time there were enough forces in order to help people,” the former president stated. Ayaz Mutallibov’s interview, which was printed in the newspaper “Novoe Vremya” on March 6, 2001, read: “It was obvious that someone had organized the slaughter in order to change the power in Azerbaijan.” Thereby, Mutallibov hinted at the Azerbaijani Popular Front Party, the groups of which were placed near Khojaly. Several Azerbaijani public figures and journalists also made statements and remarks of the kind. However, the Azerbaijani ruling regime led by president Ilham Aliyev spreads Armenophobia with the help of its “truth” about Khojaly. Those, who dared to challenge the “truth,” were either arrested or killed. All this and using the civilians as a shield makes Azerbaijan’s criminal liability more obvious. Figures also show the same: according to SIPRI (Stockholm International Peace Research Institute), during the last seven years, Azerbaijan’s military expenditure increased by 2500%. These data are compatible with Nazi Germany’s rearmament in the 1930s. Thia fact, frequent violations of the ceasefire agreement signed in 1994, Azerbaijani ruling elite’s obvious military statements, and dissemination of Armenophobia in the schools of the country certainly represent a huge obstacle for the negotiation process under the mediation of the Co-Chairs of the OSCE Minsk Group. Currently, Azerbaijan refuses to negotiate directly with the democratically elected government of Artsakh and is negative towards the offers of the OSCE to withdraw snipers from the contact line and create a collaborative mechanism for investigating ceasefire violations. Armenia, on the other hand, intends to come to the resolution of the conflict through negotiations. This decision excludes military action for achieving the ultimate goal. The international community shares this position. On February 26, 1992, during the Karabakh war, around 200 to 300 people (according to Human Rights Watch, and 600 according to the version propagated by Azerbaijan) were killed in unknown circumstances near the city of Aghdam. They were deliberately withheld by the Azerbaijani authorities in the midst of the military actions. The authorities of Azerbaijan intentionally kept the population in the village for months by force and did not evacuate them in order to use them as human shields later as the village was one of the firing points for shooting at the blockaded Stepanakert (among five others). The residents of Khojaly, coming out through the humanitarian corridor the self-defense forces of the NKR had left open, freely passed more than 10 km and reached the Aghdam city controlled by the Azerbaijani troops. Later, dead bodies of the villagers were foundnot far from the positions of Azerbaijani troops. The exact death toll remains unknown as the official Baku publishes data contradicting each other. Parliamentary Commission investigating the tragic death of the civilians at Aghdam city was dissolved by the order of Heydar Aliyev, the investigative materials are kept secret. ROME, Italy—Italian Senator Aldo Di Biagio criticized fellow senator Maria Rizzotti’s February 21 speech about the Khojaly incident, assessing it as one-sided and based only on pro-Azerbaijani rhetoric. Rizzotti—a member of friendship group with Azerbaijan—urged in her speech to declare February 26 “Remembrance Day of Khojaly Genocide” at the Italian Senate. Senator Biagio said that the Senate does not support Rizzotti’s speech. During his speech on Tuesday, he stated that speaking about the Khojaly events and assessing it as “genocide” means to accept the biased opinion of the Baku authorities but is denied by facts. “There is no reference to the fact that the Armenians of Nagorno-Karabakh reaffirmed their right to self-determination through referendum,” Biagio said. He also noted that his colleague bypassed in her speech the provocations and the spread of Armenophobia by Baku authorities, which hamper the OSCE Minsk Group Nagorno-Karabakh (Artsakh) peace process. “Ignoring all this means to ignore facts and spread partial information which is pregnant with the risk of being mistaken for the truth, since the issue has been raised in this reputable establishment of the Senate of the Republic, and this is a very serious country,” he concluded. The minutes of the Tuesday session at the Senate reportedly did not include Rizzotti’s proposition to declare February 26 as a “Khojaly Genocide” remembrance day. Azerbaijani journalist Chingiz Mustafayev known for his shooting of military action in the region of the Karabakh conflict was one of those, who told the truth about Khojaly events. Mustafayev taped corpses of Khojaly residents found near the Azerbaijani positions not far from Aghdam in March 1992 and made public the information about the real perpetrators of Khojaly tragedy. “On February 28 (1992), when I got there, I asked permission to cross over to the other side and see how the tragedy had happened. I was told that there were bodies only in Khojaly, talks had been held with the Armenians, and the bodies had been exchanged and brought back. Khojaly residents told me that the corpses were near pig farms, and that there were also people left alive. Khojaly residents went there on foot and hid there,” Mustafayev said. Upon hearing that, the journalist asked them to provide him with a helicopter, a car, or let him go there on foot. They again told him that it was impossible to get there: everyone was massacred; Armenians were allegedly keeping the place under fire, and so on. “On February 29, while flying by military helicopter to the same place from the village Umudlu, we flew over that side at my request. I saw with my own eyes that I had already passed through that place. 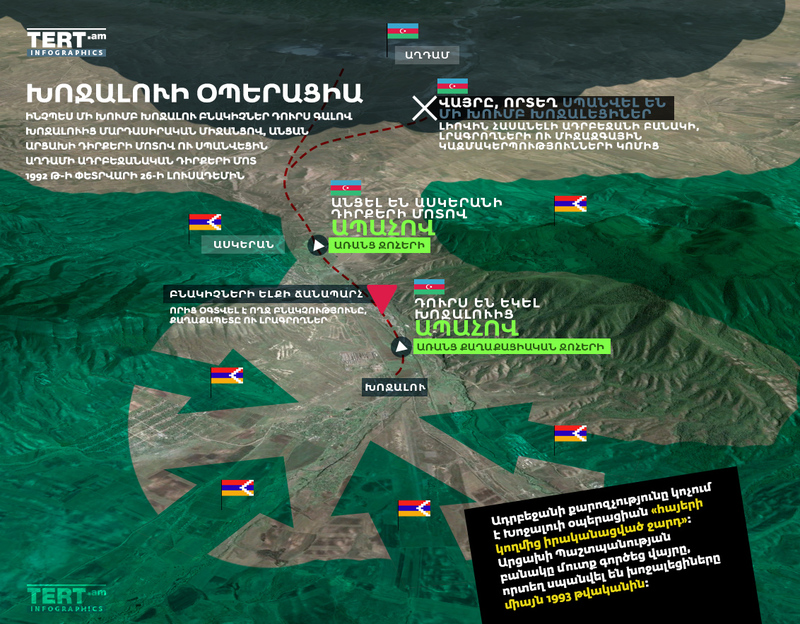 The pig farm was 10 kilometers away from Khojaly. More than 50 bodies were scattered seven hundred meters away from our post near Derebeyi. The fact that I saw 10 of our citizens walking among the corpses on the shots taken from above is still a mystery causing shiver. Those people in military uniforms were from Aghdam. I have those shots - they are calmly walking among the corpses. I am still told that there were no bodies, no one could get there, as there were Armenians there and so on. However, when we finally got off the helicopter, three of the helicopters immediately returned to Aghdam allegedly ‘forgetting’ us there. Those 10, having walked there on foot, left on foot,” the journalist emphasized. According to him, his group was shooting there for 45 minutes. The place was 25 meters away from the road to Nakhichevanik. Cars of Armenians passed through the road twice. They noticed the journalist and his group, who then walked back to Aghdam. “I still cannot understand why the corpses 6-7 hundred meters away from our posts, among which 10 our people were freely walking, were not taken away. Corpses had been exchanged and brought back from Khojaly provided there were negotiations. As you see, allegedly, it was a ‘trap’: the Armenians kill our people. It was not allowed to go there also because the Armenians were killing people there,” Mustafayev said. As for the committee created for the investigation of the events, the journalist noted that he had suspicions about its work. According to him, the committee was going to show that it worked. However, the committee would be included in the Committee investigating the January tragedy, the helicopter tragedy, and all the tragedies in general, and the investigation would last at least 5-6 years. It was unknown, when it would end. Forces responsible for those tragedies are preparing something new day by day. Azerbaijani journalist Chingiz Mustafayev known for his shooting of military action in the region of the Karabakh conflict was one of those, who told the truth about Khojaly events. Mustafayev taped corpses of Khojaly residents found near the Azerbaijani positions not far from Aghdam in March 1992 and made public the information about the real perpetrators of Khojaly tragedy. Facts about Khojaly events in the video, which has recently appeared on the Net, confirm the Azerbaijani armed forces’ involvement in the tragedy. “This program was not aired. They said this program was against soldiers of the national army or the President of the Supreme Council and so on. But there was only one reason. They knew that we would eventually introduce the program to people, no matter how difficult it might be. We had to know the truth,” Mustafayev said. It is noted in the video that it is easy to examine how the Parliamentary Committee for Investigating the Khojaly tragedy operated. “Committee has already completed its work. However, people will not be informed about the results owing to the same secret reasons, as the tragedy itself. We think they will never be informed because the eyewitnesses of the tragedy are no longer among us,” the voiceover in the video emphasizes. “However, unlike Garayev, Chingiz’s and his followers’ tongues are not burnt. As you know, Chingiz took shots of the tragedy twice and there are significant differences between the first and the second shootings. The photographed corpses from Khojaly were much closer to Aghdam. When Chingiz saw the people, who were walking among the corpses and escaped upon seeing the helicopter, he started to get suspicious. They were not Armenians. The questions were very interesting. And maybe for the same reason, the helicopter that had accidently brought Chingiz to the scene, allegedly forgot him and found it necessary to leave him there. This (2:03) is Chingiz’s first visit and first shooting. As you can see, the corpses are not mutilated. Here the bodies are just the way they were. Chingiz’s camera once again saw everything (2:23). (2:24) And now, you see this poor man on the photo made for the first time. And this is the photo made for the second time (2:29). But the same poor is scalped here. Chingiz Mustafayev: “I took this photo yesterday in the afternoon, and there was nothing like this!” Mustafayev said. Questions arise regarding who did it in one day. There are many unanswered questions of the kind. 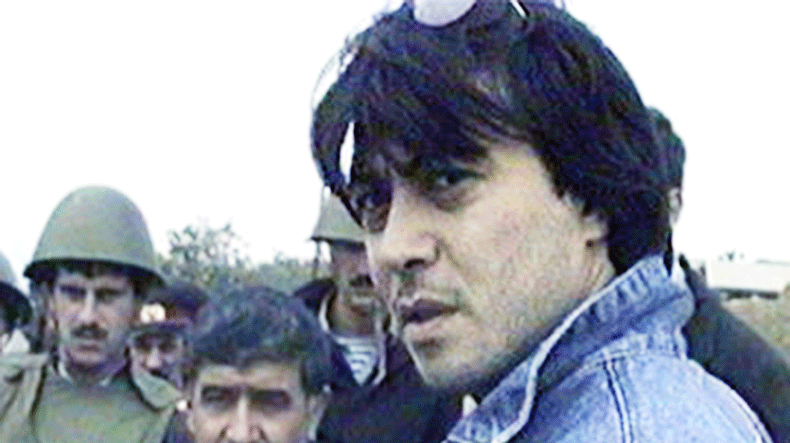 Chingiz Mustafayev was killed on June 15, 1992. He was posthumously awarded the National Hero of Azerbaijan title for his shootings of the military action in the region of the Karabakh conflict. 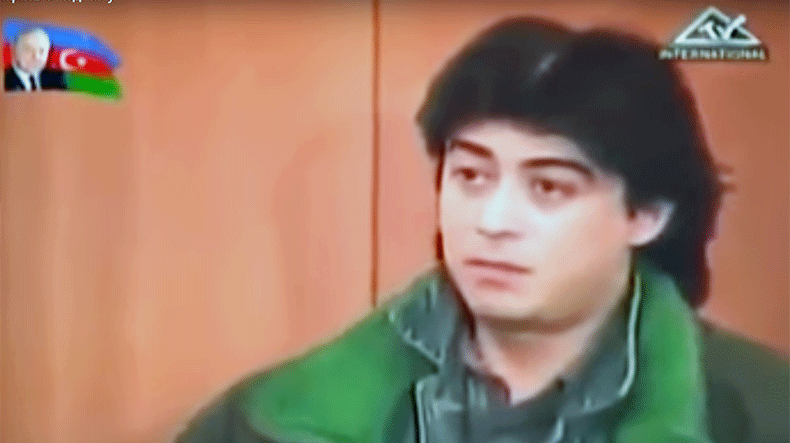 Chingiz Mustafayev is primarily known for his taping of the Khojaly residents’ corpses found near the Azerbaijani positions not far from Aghdam in January 1992. ArmInfo.Ankara's statement regarding Khojaly events reminiscent of the situation, as if Hitler had expressed his solidarity with his ally Mussolini, the Vice President of the Armenian Parliament Eduard Sharmazanov said in an interview with ArmInfo in response to condolences of Turkish President to Azerbaijani colleague on Khojaly events. "It turns out that one expresses support to another. Instead of the so condole and condemnation, it would be better if the Turkish authorities got acquainted to the interview of former Azerbaijani President Ayaz Mutalibov, in which he assured that Armenians are not involved in the events in Khojaly", summed up the Vice President. To note, Turkish President Recep Tayyip Erdogan expressed his condolences to the people of Azerbaijan regarding the 24th anniversary of the Khojaly events. "We honor the memory of victims of Khojaly tragedy and wish patience to Azerbaijani people", said Erdogan. The Armenian community of experts believes the untwisted by the Baku ideologists "genocide" of Azerbaijanis in Khojalu to be a myth created by Heydar Aliyev and taken up heir Aliyev Jr. in order to divert international attention from the mass riots and massacres of Armenians in Sumgait, Baku, Kirovabad, and many other settlements in Azerbaijan, the monstrous massacre of old men, women and children in the Karabakh village of Maragha, where in April 1992, the units of the invading Azerbaijani regular army brutally killed about 100 civilians, and overall brutality of the Azerbaijani armed forces in the course of large-scale military adventure against the Artshakh Republic, which finished with total failure of Baku. At the same time Baku propagandists are trying hard to ignore well-known facts and evidences, including the assessment of some of the former high-ranking officials of Azerbaijan, human rights defenders, journalists and residents of Khojaly on the above events, denying the false official version. In other words, the tragic events in Khojaly became a political propaganda capital of the official Baku.